New Orleans can easily be described as America’s secret gem. 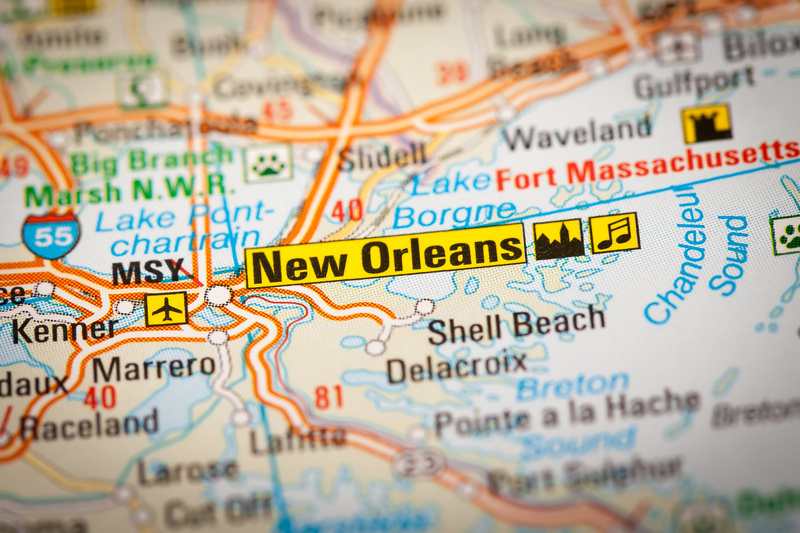 Despite the havoc caused by Hurricane Katrina and the negative portrayal of a city plagued by violence, New Orleans stands alone in all its glory, people, culture and revelry. This year, the National Association of Black Journalists congregated in the historic city, part of the group’s annual convention and career fair. America’s racial turmoil, like the most recent incident in Charlottesville, VA, makes the destination for the gathering a unique one that highlights who we are, what we’re capable of and what we continue to stand for as Americans and NABJ members. The struggle for equality and a more just country isn’t over but neither is our resolve and determination to fight bigotry with education, success and the most powerful armor man has against hate; Love. And, New Orleans has plenty of love, history and black culture for the greater mission to improve our world and American culture as a whole. The Big Easy, as the iconic and beautiful city is nicknamed, was the perfect complement to highlight NABJ’s work and the people that come out to support it. People like, Roland S. Martin, Charles Barkley, Harris Faulkner, Dr. Jeff Gardere, Nyja Greene with CNN in Atlanta, Tracey Rivers with Fox 26 News in Houston, and many other prominent black figures. And, even the presence of arguably the most unpopular black woman in the White House, Omarosa Manigault, couldn’t overshadow the power of the event in a city full of life, talent, charm and charisma. And, how fitting and telling of the group’s importance, growth and impact that even Facebook joined the convention this year to recruit talent for its own innovative work across the globe. In our current state of aggressive and divisive nationalism, New Orleans was the perfect backdrop to mark black progress in America. Black folks, specifically those that call the Big Easy home, have come a long way as a people. 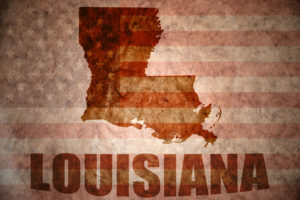 In the repugnant face of racism and discrimination, to a natural disaster that changed the lives and demographics of the city; New Orleanians are overcoming everything that has plagued their journey with music, food, revelry, an organic entrepreneurial spirit and a potent dose of American culture. Nevertheless, it’s clear to see, especially thanks to an administration fueling anti-American values that the civil rights movement is far from over, making NABJ’s mission and work more important than ever. Jazz or Jass as it was first spelled, was born in New Orleans, making dancing and singing in the streets to great local bands simply a cultural norm. From Bourbon Street to Frenchman Street, the city cradles its patrons like moths uncontrollably drawn to light, despite all the effects that comes with merrymaking, and an alcohol and drugs infused atmosphere. However, there’s more than the music and revelry to talk about. The local artists on the streets hawking their goods like, Alex Lee Calacuayo, add a certain essence to the bright beautiful colors that is New Orleans and its people. Food venders, like Mr. Joe’s Island Grill—unlike some other cities in America—take a great deal of pride in what they prepare and offer. It’s a constant party that hits you all over, from your dancing feet to your mouth full of the best food on the planet. And, none of it takes away from the cultural significance that is New Orleans. Despite a long and arduous journey plagued with racial prejudice black people in America are still standing, and still working towards their own prosperity as our collective American values instills in each and every one of us. And how fitting that after all these years and racial turmoil’s, NABJ is still working to bring organizations together that recognize the importance and value of diversity in the work place, especially in media. We represent the spirit of Sam’s Shine Parlor. The country is changing. New Orleans is going through it too, especially following the mass public upheaval brought on by Katrina. Walking the streets of the city you can still hear folks talk about all they’ve lost during the August 2005 storm. The breaking of the levees didn’t just spill massive amounts of water covering the city and destroying lives. Some argue that it also washed away a great deal of its culture and fast-tracking gentrification. Even so, the city full of charm with one of the best American accents you’ll hear is still thriving. And a large reason for it lies at the feet of the local population that make a living in the streets, where a great deal of the city’s booming tourism industry can be seen and deeply felt. 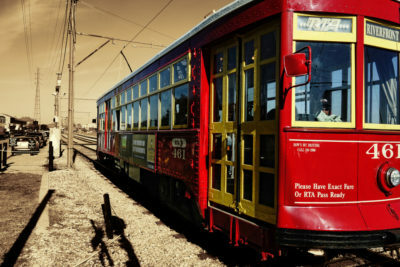 New Orleans is not just beautiful; the Big Easy is the epitome of what we recognize as the birth of American culture. This entry was posted in Archives, Culture and tagged american culture, culture, nabj, new orleans on August 15, 2017 by jlenoir.